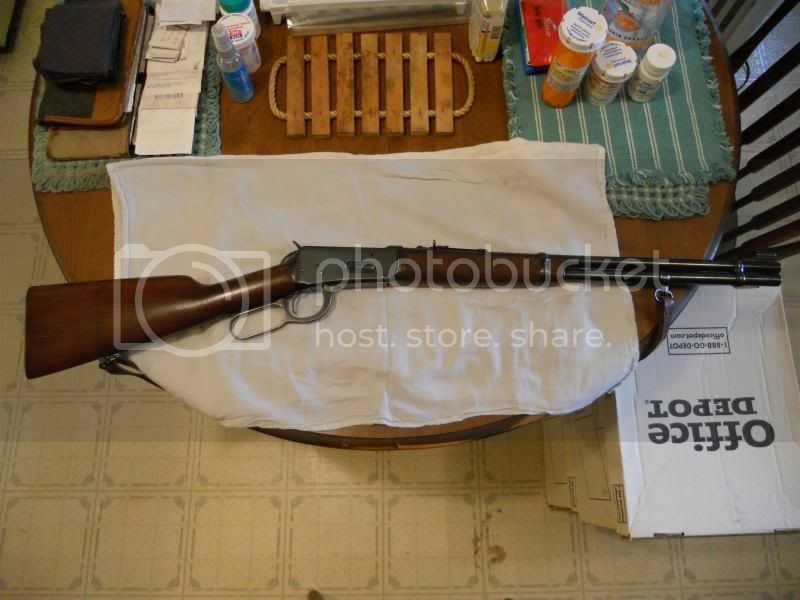 WinchesterOwners.com • View topic - What did you pay for your Winchester Model 1894? I have three of them, first was a 1940 vintage .30WCF I paid $275. I think at a show. Then came the 1898 special order sporting rifle, $350 on line, (it needed some work, but was all there and a nice bore). Lastly an 1898 saddle carbine, $1350 also from an online dealer. When Winchester announced it was ceasing production and closing the Connecticut plant I figured I'd better get one, I had always wanted one but had kept putting it off. I got a late model 94AE (6 million serial number range) in 30-30 complete with scope for $300. A scope on a lever gun just distresses me, so that went on another rifle. Except for the ugly cross bolt safety, the Winchester is right at home with my 1970's vintage Marlin 336 Texan. Still waiting for mine to arrive at my FFL, after buying at auction on GunBroker for $365 plus $20 delivery. That was a good price for a pre-'64 model 94, but it's in rough shape cosmetically ~ though barrel is allegedly good. I paid $40.00 for mine in 1962. Excellent rifle. Just bought my 1962 production rifle on Saturday for 600 from Cabelas of all places. It was in there "collectors" gun area and didnt have a flaw on it. Did not pay anything for mine.It was given to me by my Father. JustinB60 wrote: Just bought my 1962 production rifle on Saturday for 600 from Cabelas of all places. It was in there "collectors" gun area and didnt have a flaw on it. After a long search, I scored this beautiful unmolested M94 1955 for only $350.00. I stole it at that price.. It should have sold for twice what I paid. I paid $150 for a new Win94ae 30-30 at KMart in 1983. Those were the shots I took today. My current 94 I think I paid $150 for. It's a Ranger that had maybe one box of shells through it. I've used it mainly as my camp gun though I've been hunting with it more lately. The M94 is after all probably the handiest hunting rifle going. Too bad Winchester doesn't make them here and for a reasonable price anymore. I got mine a Model 94-32 WS serial number in the range of 41 or so and 45 the original records for that year are lost to fire it seems. Paid 425 in excelent condition except some IDJIOT scratched the bottom of the lever. Got it at a Tanner show. Took it out shooting next day. Loved it enough to buy an RCBS reloading kit, dies, and Hornady LeverEvolution bullets. Mine was purchased in 1983 in Ogden, Utah for around $250.00 IIRC. Manufacture date is 1941, and it had a Lyman tang sight on it. Still shoots minute of deer! Mine cost me less than a half million $, but should give me a million $ worth of enjoyment. I've always wanted one of these in 38-55! I haven't received the rifle yet and I'm chomping at the bit to have it in my hands! 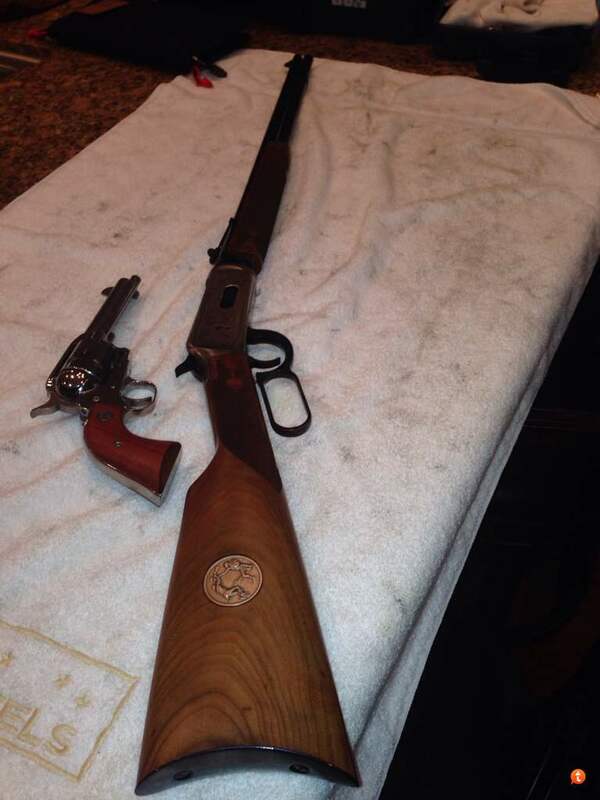 My 1894 was bought used for $250...came with an extra .30WCF barrel too !! This one was a safe queen...manufactured in 1977, it's a top eject model. Own 5 model 94s. Two are in 30-30, 2 In 25-35, and one 32 Win. All made during 40s and near new condition. The 30-30 & 32 cost me right at $600 each while the 25-35s set me back at $1000 each. Pre 64's have been going up over the last year. 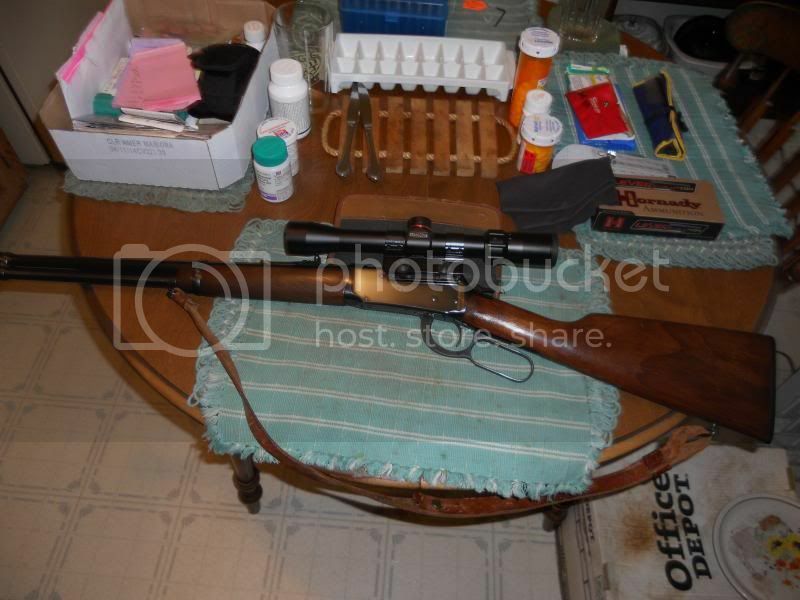 Not many bargain prices on Gunbroker, and I haven't seen one on Armslist.com lately. I have seen Pre 64 Models with asking price of as much as $800 in excellent condition and a lot more for the occasional NIB for sale. A local website I check had one for $450, which is the lowest price I've seen this year. The average price I have been seeing for Pre 64's $700 in good shape. I do run across Post 64's more often, and obviously they are selling for less than the Pre 64's. I saw a Post 64 in a LGS for $425 in like new condition. The action felt like it had a lot of play in it. No thanks. Have any pictures of yours Mike...!? SHOOTER13 wrote: Have any pictures of yours Mike...!? Yes I do. If I can get them up on this site without too much trouble, I will Post some. 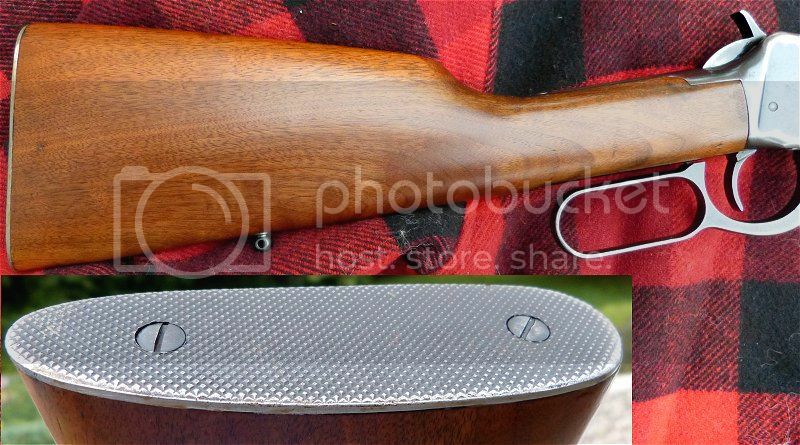 The first Model 94 had the Receiver drilled out and a cheap scope mounted on it by the original owner. When he got to old to go shooting and hunting anymore, he sold it to me. I cleaned it up, worked on the stock, and put a new mount and scope on it. The second Model 94 is in original condition. I bought it at an Estate Auction last year. Both rifles are Pre 64's and whatever I hit with those rifles is dead. These rifles are a great example of what American businesses in our country use to make here. The actions "work like a clock". The quality is obvious the first time you fire one of these rifles.